LionsBit is an unlicensed cryptocurrency and CFD broker owned by T.W capital LTD in the registered address of Trust Company Complex located, Ajeltake Road, Majuro, Marshall Islands MH96960. Their company registration number is 87473. Investors wishing to contact LionsBit can do so via telephone or Email support. Their Uk phone number is +44-20 3868 5663 and Spanish phone is +34-91 0479 719. You can send them email via support at: support@lionsbit.com. Automated Trading Software: Most investors enter the forex markets via an auto trading software, which are mostly get rich scams, read why. 5.1 Do you have personal experience with LionsBit? Share your story with us by leaving a comment below! LionsBit operates as an online cryptocurrency platform where investors can participate in trading up to 12 cryptocurrencies including bitcoin, ethereum, monero, ripple, zcash. They offer investors the popular Sirix trading software for web, mobile and PC trading. Their website is in spanish and English only and traders can get access to a collection of forex tools and resources. They offer a wide variety of assets that ranges from Forex, Indices, Commodities & Share CFDs and cryptos. 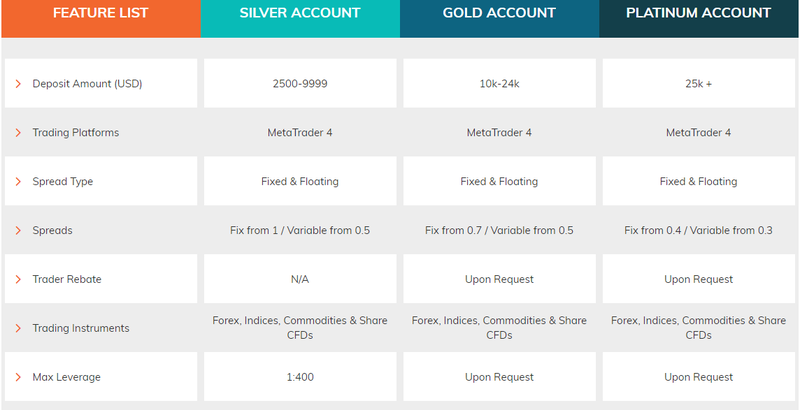 There are three 3 trading accounts available, Silver, Gold and Platinum account. All offer metatrader4 platform. The difference is in the deposit amount, spreads, leverage, traders rebate, withdrawal period and bonus. Traders who wants to accept their bonus should make sure the read the terms and conditions carefully in order not to end up at the broker complaint page. Withdrawal in Business Days: 3-5days standard. Withdrawal in Business Days: 2days express. When reviewing and comparing CFD and Forex brokers it is important to check that they are actually licensed to operate. The reason to trade with a licensed broker is that in the event that the broker becomes insolvent, your money is protected. Lionsbit is owned by T.W capital LTD with UK company Reg No: 87473. LionsBit is not licensed by FCA in UK or anywhere in the world. What the showed us is a company registration number for tax payment. Absolutely not. LionsBit.com fails to disclose any financial license of significance on their site. The creators behind this site make it as vague and misleading as possible in the hopes of deceiving prospective investors to deposit into their platform. A lot has been said about this phony website and evidence is there in black and white. It’s upon you to decide whether or not you want to get scammed. For trading, we have a list of Cryptocurrency robots that do that. FXMasterBot is the best easy to use robot platform that works with the licensed Forex brokers; Trade Financial, 24Option & EuropeFX. You can choose risk levels, currency pairs to trade and a lot of other setting to configure. Minimum deposit is $250. Try a Free Demo Account at: FXMasterBot.com. Fortrade is a popular broker that have license from FCA United Kingdom. The minimum deposit to start trading is $100. They have a free demo look here. Go signup here, and a robot will find a local Forex broker, that is licensed and regulated. Do you have personal experience with LionsBit? Share your story with us by leaving a comment below! eh invertido alli en esa plataforma ya y me fue muy bien , aun tengo dinero pero por falta de tiempo no lo trabajo pero os puedo decir que me ah ido bien ya que eh retirado ganancias durantes meses consecutivos , se trata de hacerlo bien . La verdad es que son muy insistentes para que actives y aumentes tu margen de negociación para hacer operaciones mas grandes, pero yo comencé con apenas 250 usd hace dos meses, ya he retirado aunque no todo el capital. que tengo 70 años y quisiera irme a una residencia pero no tengo informacion de como se puede operar no te esplican nada. Muchas gracias si alguien me puede ayudar. Hi, I have traded with Lionsbit.com and have a good experience with them. I had fear in the beginning because Crypto is unregulated. But my account manager was very professional, I think his name was Michael. He took his time training me on small positions. I eventually made a bit of money but had to withdraw early because of personal reasons. The transfer took a few days but arrived in my account safely. From my experience, it’s not. You don’t make money that fast, and it took very long until I managed to make a profit. The withdrawl took about 3 days to come to my account. All in all, they were very fair to me. No es una estafa por los 3 meses llevo alli , en verdad traen rollo con el tema que quieren siempre que se gane mas dinero , pero entre inversion e inversion ya llevo buenas ganancias y mas de lo invertido entonces si los recomiendo por que saben trabajar y no quedarse con la plata . Lionsbit ist eine sehr professionelle Trading Plattform! Der Service ist super. Ich habe die Mitarbeiter als äußerst kompetent empfunden. Das Investieren hat sich gelohnt. hola para tener resultados con esta empresa el detalle esta en operar con membresias , al inicio no tenia mucho movimiento con la cuenta por el poco margen que tenia y luego que fui aumentando el capital fui viendo el cambio en las rentabilidades, y depende mucho del Broker que te ayude a llevar la cuenta. al final si la recomiendo. I’ve been trying to make a withdrawal for over 2 months and nothing, I reached them through email and phone and they only respond with “they will call you” and then nothing happens. Anyone else has had the same problem with them? How can you make a withdrawal? He tratado de retirar dinero por más de 2 meses y nada, los he llamado y escrito por email y la única respuesta es que “me llamarán” y luego nada sucede. ¿Alguien ha tenido el mismo inconveniente con ellos? ¿Cómo han podido realizar el retiro de fondos? Estoy desesperada: hicieron una transferencia desde mi cuenta, yo les di entrada, no se como me liaron; fui invecíl, me tenían todo el dia acosada; han conseguido llevarse todos mis ahorros, me iban ha ingresar semanalmente las ganacias, ya ha pasado casi un mes y nada, he solicitado varias veces, por correo electrónico, que me devuelvan mi dinero y nada, ya no me llaman siquiera, antes me llamaban de 10 a 15 veces diarias. Necesito mi dinero urgente y nada. Ellos lo saben, pero no tienen consideración conmigo. Por invécil, pe ha pasado.